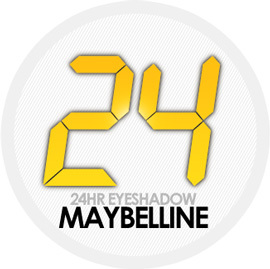 Hop on a unicycle, hitch a ride with a team of sled dogs, or lace up those rollerblades — use any means necessary to get thee to a drugstore to see these new Maybelline Color Tattoo 24HR Eyeshadows ($7 each) up close. 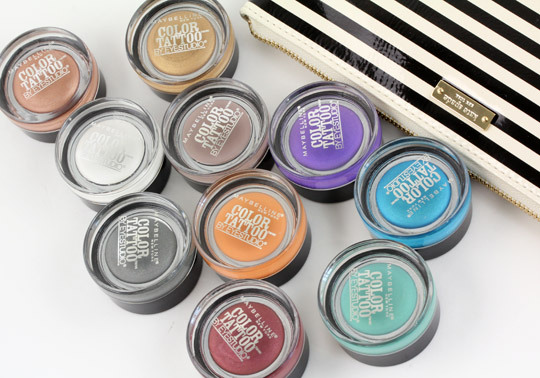 The potent pigments span an eclectic range of 10 colors from neutrals to brights, and either worn by themselves or as bases for powder shadows, these budget beauties can swagger all night long. Maybe not the 24 hours advertised, but 10-12, nevertheless. 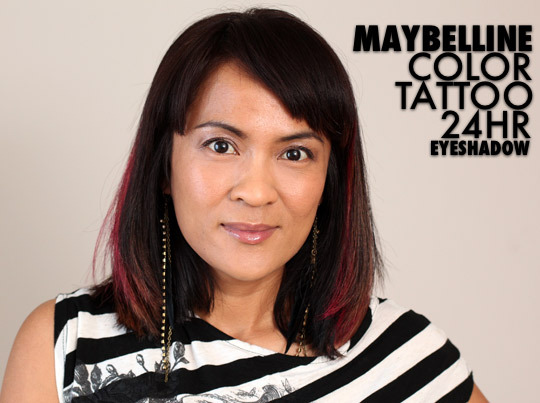 To coax out that kind of wear time, I have to wear them with something else — something like a primer applied beneath them or a powder shadow on top — and really pack them on my lids with a finger or a firm synthetic brush (like the MAC 249). Even when I don’t, though, these shadows still hang tough for 5-6 hours before succumbing to creases and fading. Not bad for seven bucks. Their fluffy, smooth texture reminds me of the pricier Make Up For Ever Aqua Creams, but I think the Aqua Creams do have them beat in terms of drying time, which could be good or bad, depending on your point of view (or in my case, how far I’m running behind, haha), and longevity. MUFE’s versions last me 14-16 hours, versus 10-12 for these. If you like neutrals, don’t miss Bad to the Bronze (my fave!). I’ve been wearing it with bronzy colors like NARS Star Sailor Duo, and with neutrals like the ones in Urban Decay Naked and Naked2. If you prefer brights, check out Tenacious Teal and Edgy Emerald. Both should look great by themselves or as bases for teal/green eye looks. I’m like the moon when it comes to brow products. I go through phases. 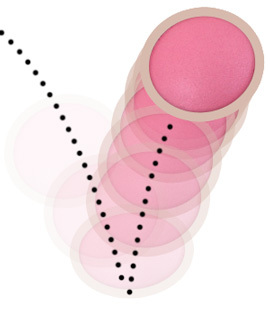 First, I was all about the MAC 266 Small Angle Brush and Concrete Eyeshadow combo, but then I found Benefit Instant Brow. 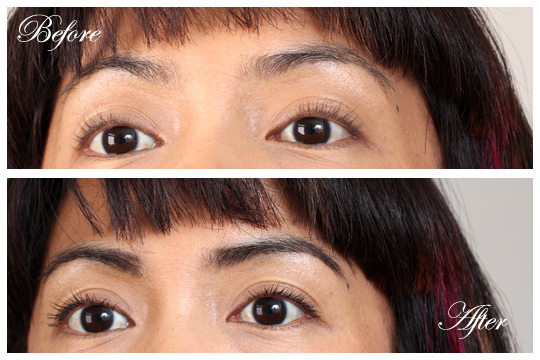 We were very happy together for a while, Instant Brow, my brows and I, but then around my third or fourth $20 pencil, I developed drugstore wandering eyes and started looking for a more affordable long-term option. 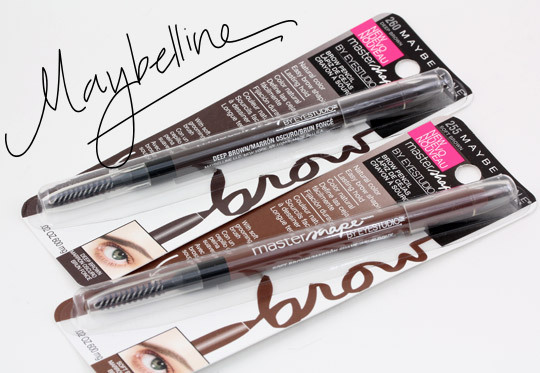 Maybe something like these new Maybelline Master Shape Brow Pencils, which just arrived in drugstores earlier this month. They’re $8 each and come in four shades — Blonde, Soft Brown, Deep Brown and Auburn. At the rate I was going through $20 Instant Brows, $8 sounded pretty good. Like Instant Brow, they’re makeup multi-tools and have a pencil on one end and a grooming brush on the other. I tried two of the shades, Soft Brown and Deep Brown; for me, Deep Brown was the better fit. First impressions? One and a half thumbs up for convenience (uh…). I like having the brush and pencil together in one place, and the only thing that would make the packaging more convenient for me is a twist-up pencil tip that I didn’t have to sharpen. You know how I’m always looking for my next hit of lash crack, right? For a lash lengthening, volumizing velociraptor capable of fast-tracking me to drag queen lash nirvana? 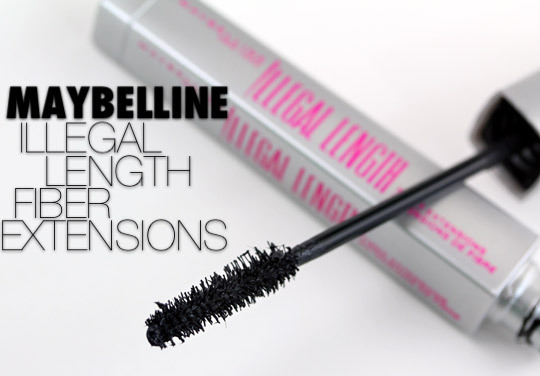 Well, when I heard tell of a new “illegal” mascara from Maybelline — that’s actually its name, Maybelline Illegal Length Fiber Extensions Mascara ($8.95) — I desperately wanted to give it a whirl. It’s new for spring 2012 and just arrived this month in drugstores. It comes in three non-waterproof shades (Blackest Black, Very Black and Brownish Black) and two waterproof ones (Blackest Black and Very Black). All of them utilize some fancy talk Maybelline calls “fiber-extension technology” to promise longer-looking, extended lashes that aren’t supposed to flake. Dang, it’s getting so hot in here that I started sweating glitter! 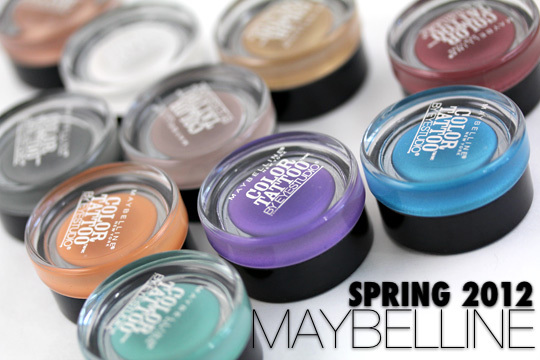 I mean, just look at these colors from the new Maybelline Color Tattoo 24HR Eyeshadow line ($7 each) of what Maybelline calls “gel-cream” shadows. The line sure looks promising. 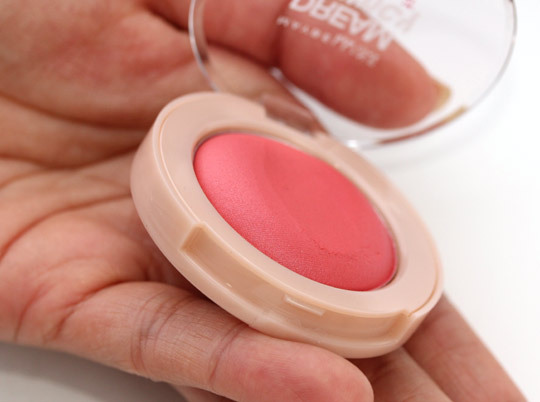 Vibrant colors in a crease-resistant formula designed to last a full 24 hours. The 10 shades come in a variety of neutrals and brights and shimmy onto counters this month. So…I can’t exactly remember the last time I needed or wanted to wear an eyeshadow for a full 24 hours, but you never know, right? I’m still putting these through their paces but couldn’t wait to show you the colors. The first thing they brought to mind — okay, well, the second thing, after Kiefer’s 24 — was the much more expensive $22 Make Up For Ever Aqua Creams, which I absolutely love. Here’s a look at the colors. Let me know if you see something you like. 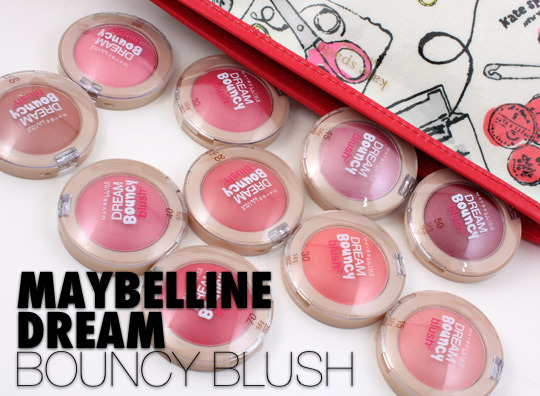 It started with pics of the new Dream Bouncy Blushes and my ’90s hip-hop playlist. Oh, don’t even pretend like you’re too cool for school. 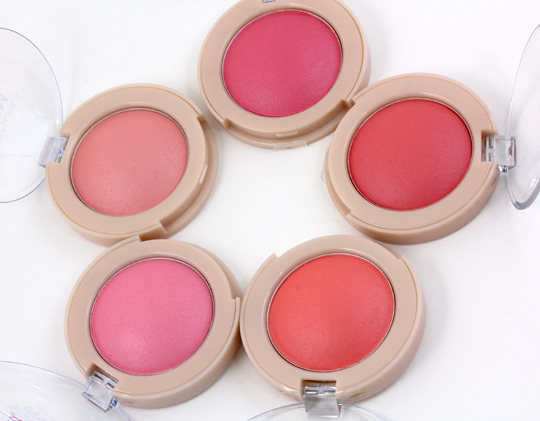 🙂 I bet you’d be bopping right along with me, having just as much fun with these sheer cream blushes as I do.